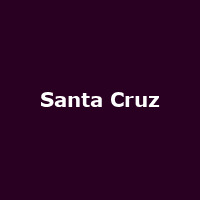 Santa Cruz are a Finnish hard rock/ glam metal band from Helsinki, formed in 2007 by singer/ guitarist Archie Kuosmanen and guitarist Johnny Parkkonen. The band also features bass player Mitja Toivonen and drummer Tapani Fagerström. They released their debut band, "Screaming for Adrenaline" in 2013, followed by: "Santa Cruz" (2015) and 2017's: "Bad Blood Rising".